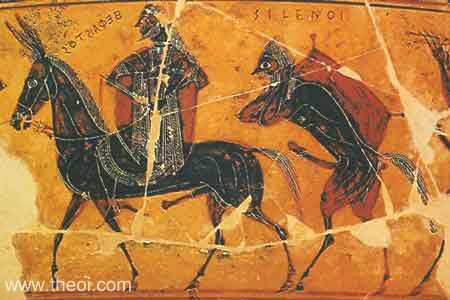 Hephaestus returns to Olympus riding on the back of a donkey. He is led by the god Dionysus (not shown) and accompanied by Silens. Near the entrance stands Aphrodite (not shown) who has been promised to the god for a bride in return for the release of Hera from the cursed throne.